Is your dog looking a bit dirty? Does your cat have long fur that is getting matted? Grooming your pet is a must, but not all of us enjoy fighting our four-legged friends to ensure that this is accomplished. Our professional and friendly staff at Hairy Paws Day Center in Saginaw, Michigan, offers full-service dog and cat grooming to make sure that your furry friends are well manicured and maintained. Leave the Grooming to Us! There are a lot of pet owners who do not have the ability or the equipment to groom their dog, cat, rabbit or guinea pig properly. Hairy Paws Day Center is backed by more than 20 years of experience. Our animal grooming pros know all the ins and outs of the process and have access to products that you can’t find at your local pet store; items such as medicated shampoos and potent flea baths. 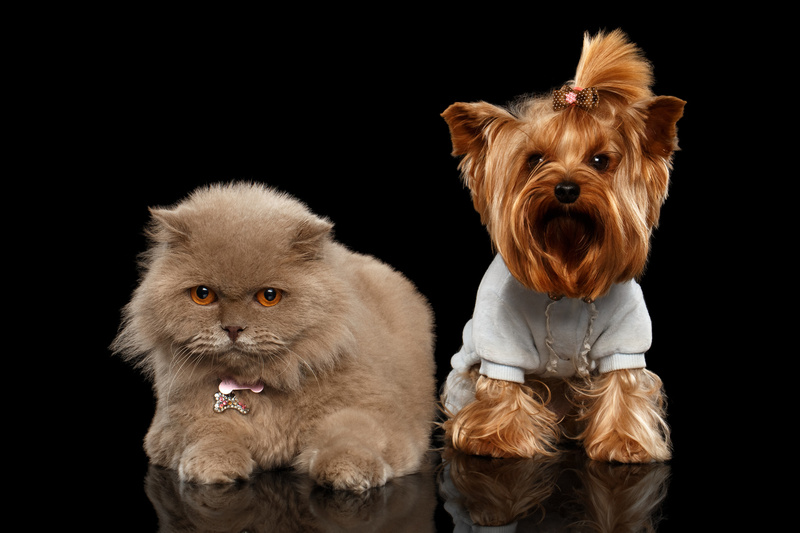 We also make sure we groom your pet from head to toe. This helps to keep his coat healthy and helps to identify any potential health issues like skin problems, sores or lumps. Hair Paws Day Center can also provide specialized baths and tooth brushing services upon request and at an additional cost.